Why Am I Sharing Flight & Travel Deals? We’re Changing, Say “Hello” to Nonstop Nicole! Announcement: Nicole Joins Thrifty Traveler! Free Doughnuts in MSP, ATL, LAX and more! Why not? Now, this post isn’t a travel deal, but it is about a #DeltaAmexPerks event/tour that launches tomorrow where Delta Airlines’ American Express cardholders can snag a free doughnut in various cities across the U.S. Since many of my followers are Delta fans or located in some of the cities listed below, I thought I would share. Not a cardholder, but are interested in becoming one? They have an increased sign-on bonus going on right now. Looking for a referral code? Let me know as I’m more than happy to share. *Disclaimer: I am not associated with or a partner of Delta Airlines or American Express. I am posting this information to share a deal/event that is available to Delta Airlines’ American Express cardholders. Previous Post WOW! $55 One-Way Fares to Europe! 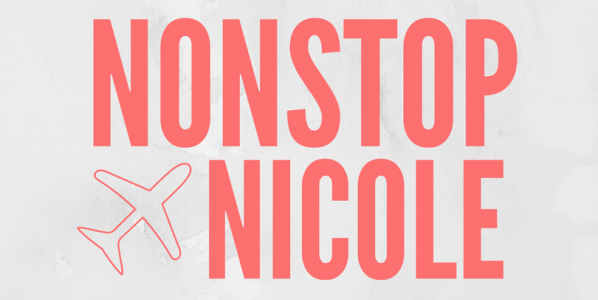 Nonstop Nicole is on Facebook! Connect with Nikki Knows Travel! The content shared is all of Nonstop Nicole and is not provided, reviewed or approved by any brand or company listed. All posts are my own. Please feel free to contact me with any questions.